Riverside, where the interview was conducted. First segment of interview with Leal Wyatt, by Denys Ryder. Third segment of interview with Leal Wyatt and Janet Fairbanks. Last segment of interviews with Leal Wyatt and Janet Fairbank. 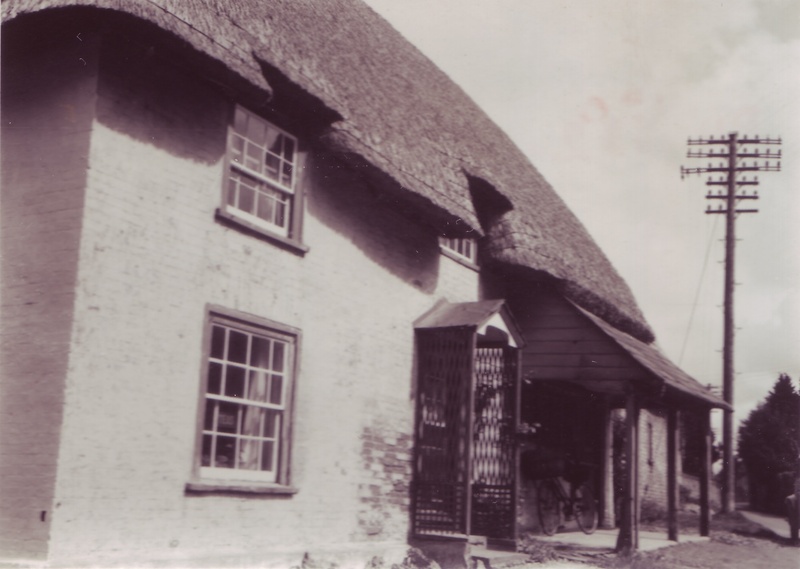 Leal Wyatt came to East Meon as a child in 1937; the owner of The Court House, Morley Horder, offered his father the opportunity to run a butcher’s shop from Riverside. Leal went to the National School, then to Rowlands Castle, and as an adult, worked at the Barnsley Workshop. Janet Fairbanks was an Aburrow, the family which ran Drayton Mill and a wheelwright business in the village. She married William Fairbanks, the baker. The transcript of Denys Ryder’s interview with Leal (and his wife Lorna) and Janet is attached as a PDF, as is a log of the interview, which was conducted in four segments. Transcript of interview with Leal and Lorna Wyatt, and Janet Fairbanks, by Denys Ryder. In the 1960’s there were two old ladies who lived in this house every Thursday they used to sit by the window in the picture and give me a small bags of sweets to eat on my way home from school going to to South Farm opposite their house on the same side of the road was is a small cottage that, in those days used to have a little hatch/counter that was opened intermittently to sell ice cream.